We understand when moving to our premium solution, one or two plans just doesn't fit all. Starting on Monday November 2nd we will be discontinuing our Pro and Lite Plan structure for a more flexible build your own plan premium option. Now all new accounts will be Pro accounts or "Premium Accounts". Select your own page, element and storage limits so that you can price a plan that works best for you. Select a support plan, allowing you to decide the level of support you would like to use. You can no longer add a domain unless you are a premium customer. There will be a noticeable overall price increase with our new pricing since things are now itemized, but we will continue offering our large discounts for prepaying 6 months or more. No more shopping cart item limit, the shopping cart is now a flat $10 add-on with unlimited items. For those of you that support us by upgrading, for the most part this will not effect you or your plan with the exception on how your traffic limits are handled. Currently all upgrade plans included a base of 25,000 page views, since page views as a form of usage measurement are being discontinued you will be switched over to 50GB monthly transfer for Pro accounts and 25GB monthly transfer for Lite. As always, when we have changed our pricing model we honor existing plan pricing for current customers, so unless you cancel or upgrade your plan you never have to worry about your price going up. If you are not upgraded but want to under the current plans I encourage you to do so before next week. As with any of our current customers, your pricing will be locked in. We have made some adjustments with how site intros are displayed. Now you can add your own custom page html complete with body and meta information, in turn this will cause the intro page to ignore the Style Sheet for your website. This way if you wanted to display a different background in your HTML code as an example, you can do this much easier now. Thus Allowing a greater level of intro customization. If you are using the new management bar, when saving your intro you will be redirected to your intro page to get a preview of how it would look to new users visiting your website. Today we released an update that greatly improves the rich text editor you use for adding content to your site. The rich text editor is used on custom content elements, forum posts, blog posts, etc. This update was focused on speed improvements and get the new editor to work with the content builder system. You will also see it has a brand new look and improved functionality overall. Like anything new there may be bugs, problems or issues with it. Please report problems you encounter in a support ticket including if you run across an area that the editor does not load. The key thing about the editor is it loads much faster then before. Featuring - You can now feature blog entries, this works with the blog preview element and it's new set of options for display by different types including featured entries. Approval options - On the main blog page you can click the edit icon for your blog entries and set require approval for new blog posts. This will cause blog entries entered by members to be approved before displaying. If you have pending blogs for approval a new Pending Approval link will appear with the number of blogs for approval. Any blog moderator can approve blogs. Views - Now when an entry is posted it will track views. The views is only visible to blog moderators and to the person that posted the blog entry. Featuring - You can now feature videos, this works with the Video box element and it's new set of options for display by different types including featured videos, the great thing about elements is you can create as many as you want and mix and match with different display options. Approval options - On the main videos page you can click the edit icon for your videos and set require approval for new videos. This will cause video entries entered by members to be approved before displaying. If you have pending videos for approval a new Pending Approval link will appear with the number of blogs for approval next to the view all link. Any videos moderator can approve videos. Video Quality Improvements have been added for video uploading by our Enterprise clients. This greatly enhances video quality on play back and full screen. In addition to these updates we have made a number of small fixes and adjustments. Remember we depend on you reporting problems, anomalies and help with pointing out small usability improvements to improve our platform and service. Please report any issue you have in a support ticket, all websites have quick access to support from your website management area. One of the greatest advantages you have by using us as your technology solution is the way we add new features and make improvements on a regular basis. When we update, your site is automatically updated allowing you to take advantage of these changes right away. Below is some updates on features we have been working on and we have planned for release. Our new event system that was originally slated for release at the end of last month will be ready for roll out in the next few weeks. The new event system greatly improves the look and functionality over using the existing event calendar. Once released we will begin to phase out the old event calendar system. Some new features include a whole new look, better moderation options, event commenting options, event photos, setup pay events, and much more! Over the next few weeks you will see changes with how elements work and the way things are loaded on the page. We are moving forward with converting a number of our elements with the way they load and request information using Ajax (Ajax is a programming method of loading in a block of HTML rather then the whole page). This will reduce full page load time and give the appearance of a faster website. Adding Content Moderation to areas like Videos, Blog, Photos and more to allow you to approve content before it is viable by the general public. We are tackling a whole list of small tweaks, adjustments and usability improvements to polish out current systems. New element options to add more personalized customization. New Admin/Management Area Welcome Page Coming Soon. Wiki type knowledge base system. 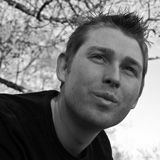 This system will allow anyone to edit and create pages with full moderation controls with a very deep page structure. Member Titles and Prefix Options based on access level. Element Viewing Options similar to the Profile Elements. So that you may select elements you want to show only to people visiting your website then show something else to someone that is member on the page or display the element to everyone. Need more help? Want to Contribute? 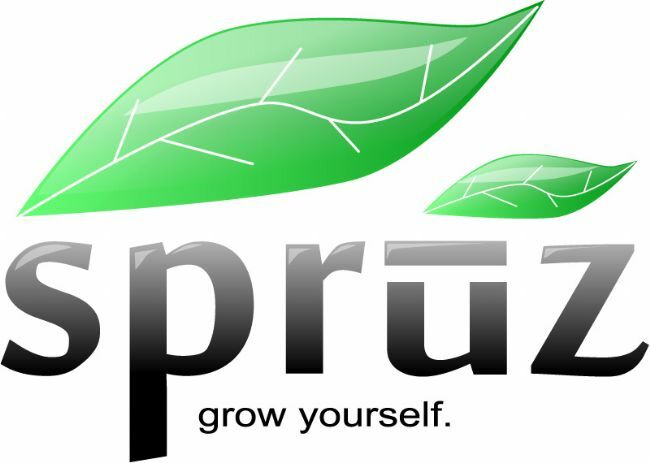 Visit our Website Owner Support Community at http://my.spruz.com today!